North East health and wellbeing company Mammoth has become the official mattress provider for Team Tyne Innovation. Mammoth has been invited to come on board as the rowing quartet prepare to take on the 3,000 mile Talisker Whisky Atlantic challenge in December this year, the world’s toughest rowing race. As part of the challenge, Team Tyne aims to showcase the best in North East innovation. Through its innovative sleep technology, Medical Grade™ Foam, which has been scientifically tested and shown to improve sleep, Mammoth’s mattresses are designed to enhance the crew’s performance. A specially designed Mammoth mattress will be fitted into the cramped cabin in the boat to aid the team’s rest and recovery ahead of the rigorous rowing schedule that includes 12 hour shifts. 56-year-old businessman Phil Kite, who is part of Team Tyne, said: “The conditions in the Atlantic will be incredibly tough and will test the limit of our physical and mental strength. It’s absolutely vital that we optimise our rest, rehabilitation and recovery in the best possible way. Our mantra is eat, sleep, row, repeat, so sleep really is a fundamental part of our daily routine. The team, including Claire Hughes, Dave Higgins, Guy Clack and Phil Kite, is aiming to complete the challenge in 45 days, depending on the weather conditions. Known as the world’s toughest row, more people have climbed Everest than have rowed the Atlantic, and the team can expect harsh conditions including up to 50 foot waves, as well as the physical effects of the challenge and sleep deprivation. After meeting members of the Mammoth team at a recent design conference, the two discovered strong synergies in innovation. Mammoth has a long history supplying elite athletes and organisations, including members of GB Rowing Team such as Pete Reed OBE, as well as helping thousands of sportspeople maximise their performance through better sleep, over the past decade. John Tuton, Founder and Managing Director of Mammoth, said: “With a clear focus on innovation, Mammoth’s ethos is closely aligned with that of Team Tyne Innovation, and we’re pleased to be supporting the team in its upcoming challenge. “For a rower in the midst of a gruelling challenge, one of the most important elements for recovery is sleep and we design our mattresses to improve welfare, wellness and performance. A winner of the NHS Innovations North, Bright Ideas in Health Award 2016, Mammoth technologies have been scientifically tested and shown to improve sleep under the guidance of Prof. Jason Ellis at the Northumbria Centre for Sleep Research (2012). The study showed falling asleep was 29 per cent faster on a Mammoth Mattress and a longer and more restful night’s sleep is achieved. The company offers a range of mattress products aimed at helping everyone enjoy a better night’s sleep. 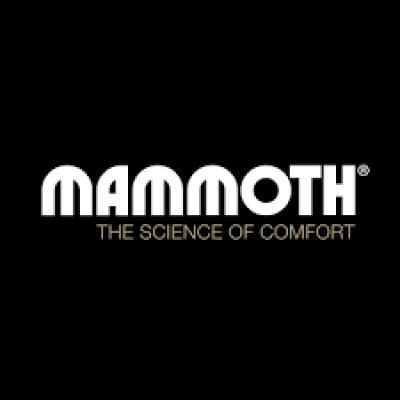 To find out more about Mammoth mattresses, the company’s passion for sleep and its Science of Comfort™, visit www.mammothmattress.com.